Wait? WAIT?? I don't want to wait! I stink at waiting! Squeeze to crack! Does the shell go all the way around then? I take my first bites and it's very sweet. The ice cream has tempered nicely and is very easy to scoop. In fact, it's crazy soft. Like whipped cream soft. 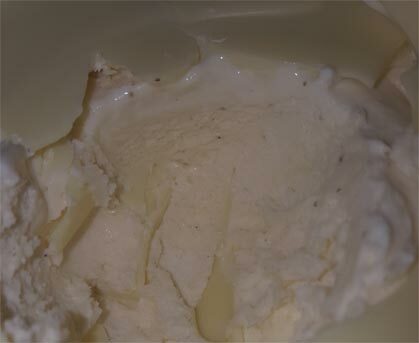 Oh geez, there are layers of white chocolate going throughout the ice cream as well. Impressive. These internal layers are thicker than what's coating the sides. I can't say I love the texture of the ice cream. 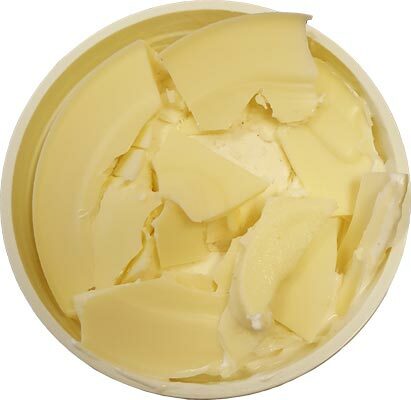 The white chocolate is fun texture wise, but it should play against a more premium ice cream than what's inside here. You know what this feels like? 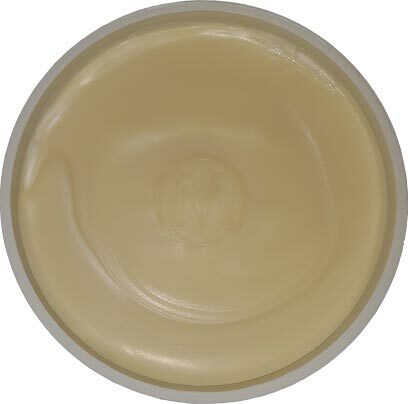 It feels like a direct assault on Haagen-Dazs Trio.You get that same fun Trio crackling sound as you dig through this faux pint (14.8 fluid oz). The difference is that Trio backs up those chocolate layers with a much better ice cream. Ok, I'm not sure where to stop. 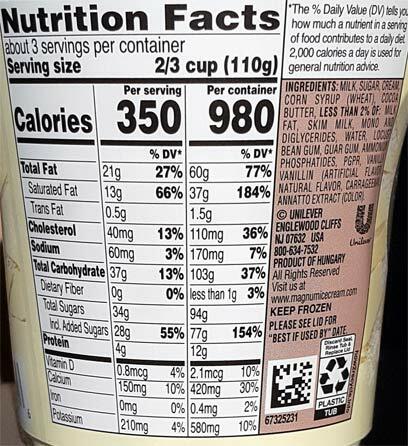 This ice cream hasn't been filling and the urge to keep crunching pushes me forward, but this one has some hefty nutritional stats so I feel like I should take a break (eating this entire pint in one sitting would be akin to eating an entire box of three magnum bars). I'm not sure how I feel about this one. The potent sweetness and the puffiness of the ice cream is probably going to be too much for some of us. I basically feel like I ate white chocolate covered cool whip right now. I'm not sure how that description makes you feel. On Second Scoop: I dig straight in (no tempering) to avoid the ice cream getting too soft again and that is a wise choice. 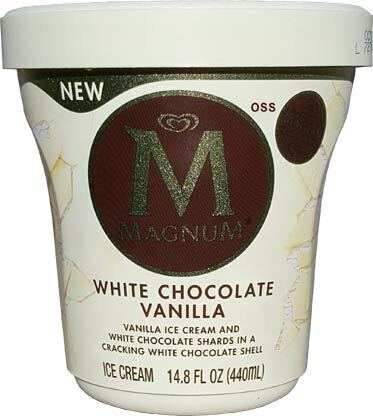 I'm going to throw out the disclaimer that you should be a pretty big fan of white chocolate if you are going to try the Magnum pints by starting with this one. It's kind of an assault on your tastebuds and you need to be prepared for it. 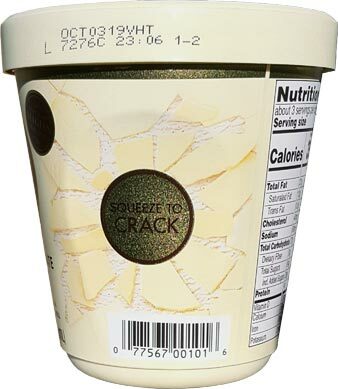 Since this pint is in my work freezer I would like to buy a second one to get my wife's thoughts on it (she used to be a big white chocolate fan). Location: Found at Stop & Shop (Giant), but has also been seen at Hy-vee. Ummm, what's an ammonia phosphatide? 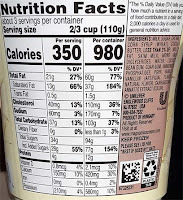 What I love about the bars is the portion control factor. It’s absolutly my favorite bar and I love all the flavors. And it has the perfect chocolate to ice cream ratio. I’ll pass on these. But I enjoyed the review. Especially descriptive was the chocolate covered cool whip comment! First I heard of these, really excited to try them. You keep mentioning the HD Trios lineup, but I was disappointed in those. Yeah, the ice cream was good, but the chocolate was so-so at best. It's not good when Breyers delivers a better chocolate in their chocolate crackle flavor. 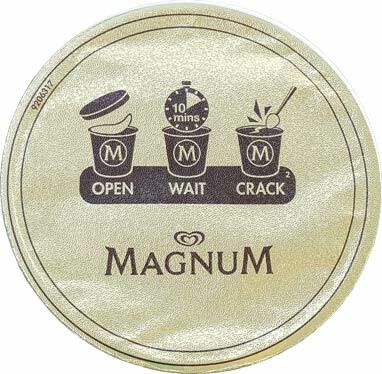 But, with Magnum, I'd say they have the best chocolate in the ice cream novelty business, so I almost guarantee these will be awesome. But there's no way I'm waiting 10 minutes. 3, tops. I tried the triple chocolate the first time around, and really ended up bored by the whole thing. I did later get my hands on the blackberry, and enjoyed the ice cream much better, but still felt let down by the chocolate. You know what would be interesting? if they came out with a Trio flavor that had either a dark chocolate or white chocolate swirl this year. I am dying to try these, especially the hazelnut and the dark chocolate raspberry. So far, I haven't seen them anywhere. You have done amazingly well finding new ice cream this year! I agree about your cool whip observation - I was expecting a Häagen-Dazs quality vanilla, but got disappointed. I love white chocolate and vanilla, so I still enjoyed it, and since it's the only ice cream I know of that combines the 2, I'll probably buy it again. Until Häagen-Dazs releases their own version as a Duo, at least. Also, I chose to dig right in instead of cracking, and I ended up shooting a chunk of white chocolate accross my kitchen table. Lesson learned. I love vanilla and I love white chocolate but this was way too sweet! I never not finish a pint...can’t say that anymore. I’m actually feeling sick. The ice cream was a bit gummy, not what I expected from a premium ice cream. The hazelnut one is incredible! was very very excited to try this, especially this white chocolate one ,but very disappointed and cant even express what is missing in this tub .but yeah I am not going to buy this again.